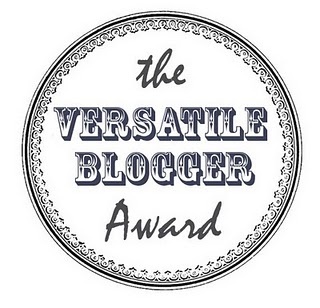 Thanks to TheBeachWriter.com for recognizing WordsmithSix with a Versatile Blogger Award! 1. We’re six writers who really do exchange work at bi-weekly meetings. 2. We’re going on our third year of critiquing together, first meeting in 2009. 3. We write numerous genres including inspirational, horror, westerns, Biblical fiction, kid lit, freelance articles, women’s mainstream; which makes for interesting meetings! 4. We represent a wide variety of life experiences and professions: pro bronc rider, mortician, published documentary author, court reporter, human resources director, OB/Gyn nurse, bookstore owner, mom, dad, bookkeeper, roper, rancher, minister, legal assistant, conference speakers! 5. We call the state of endless skies and flat, treeless landscapes home. 6. We are all members of Panhandle Professional Writers, organized in 1920 as “Panhandle Pen Women” by Laura Hamner and Pheobe Warner, which continues today as one of the oldest professional writer’s groups in the U.S.
7. Our blog has a theme: join us on our journey to publication as we blog about the craft of writing. 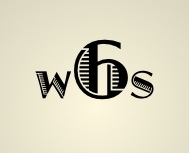 WordsmithSix would like to recognize the following blogs. You may not have ran across some of these, so please check them out. 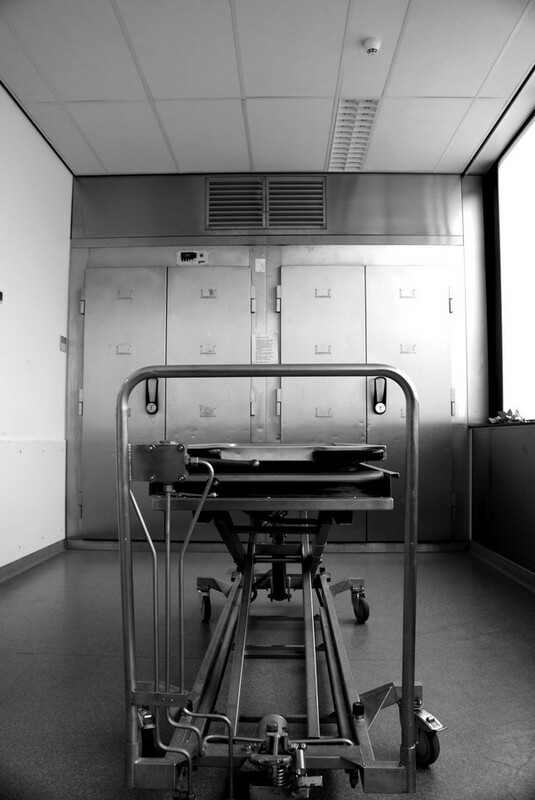 1. http://joshua-mom.blogspot.com this mom posts about loss and love. 2. www.kellerbusybees.blogspot.com : this TCA teacher of the year and a “20” to Watch NSBA Tech Leader is very creative and energetic. You’ll love her posts. 3. http://networkedblogs.com/tc8lW Angels and Demons and Portals. Oh My! Thank the award-giver and link back to them in a post. Share 7 things about yourself or your blog. 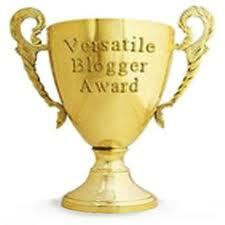 Pass this award along to other bloggers. I tried to write graffiti today…No, not the kind tagged with gang signs that mar the landscape of public buildings or the bubble letters written on the side of rail cars. I am not even referring to the colors spray painted on the fins of Stanley Marsh’s cars at Cadillac Ranch. What I attempted to scribble could never be seen, never be shared, never see the glow of my computer screen. I would never let it get that far. Let me explain. When you think of graffiti you imagine a punk using illegal paint, defacing to their hearts content until they hear the sound of someone approaching. They immediately ditch the evidence and run as fast as their pants dragging legs will carry them. What they leave behind is bits and pieces of what they consider a masterpiece of their soul soon to be destroyed by people employed for just that purpose. I tried to paint my masterpiece this week, tried to create with simple graphics my homey’s world. (It’s disturbing my computer spell check didn’t highlight homey.) No go. Every thought I attempted would bring the word police and I would run away with fear pounding in my heart. Or even worse, just when I thought my etchings were beautiful, and focused, and strong enough to remain, others would come along and whitewash every thought and every dream, deeming it ugly, stupid, and representative of a culture they wouldn’t tolerate in their fair city. There were so many joys I wanted to write this week. WTAMU as part of their Distinguished Lecture series hosted former president Bill Clinton as well as Robert Ballard who found the Titanic, The Wounded Warriors would ride with George W. Bush in Palo Duro Canyon and the Palace Coffee House in Canyon would host Shawn Smucker and Jason Boyett on writing and blogging. The list goes on and on. I even wanted to write about going to the funeral of kinfolk and hearing the memories of the “Hershey burger”, then afterwards visiting the Muleshoe Heritage Center, and being given a personal tour of the John N. Janes Home. To top it all off, at the end of the day I wanted to write about the visitors at the Buffalo Bookstore from England who shared their memories of home, as well as the kindness they had found in the panhandle of Texas. They were the ones who asked me what I thought about graffiti. Each time I set down at the computer to write that perfect phrase, that glowing intro, I got distracted by another thought, another story, another reminder I couldn’t wait to share, and instantly I would run away and hide. I think the worst of my fears was that I imagined who would be reading this blog. I wasn’t so afraid that they would critique my writing, as I was petrified they would deem it as a story that shouldn’t be told, thus destroying the essence of my memories and therefore my joys. And this is my dilemma. Every story I write I feel is a message to future generations. I know that once it is written, and goes into cyberspace it can be retrieved forever. Would the writing police a hundred years from now judge my memories as silly and irrelevant? Would they determine when they read the words of my fellow Wordsmith Six bloggers that mine was the misfit graffiti defacing the beauty of THEIR efforts. Graffiti artists will never have a venue without the fear of exposure, and their artwork can never stand. They know it will be destroyed as soon as someone comes along and recognizes it as unacceptable in their minds. This is a given. And no doubt about it, there is nothing glamorous about punks who will deface property that doesn’t belong to them. This is a crime and should be dealt with swiftly and forcefully. The millions of dollars spent each year to wash away gang signs and profanity could be spent in thousands of different ways to help their fellow man. There is absolutely NO EXCUSE! But then again, they could go out and paint the cars at Stanley Marsh’s Cadillac Ranch or have a photo shoot like Vogue Magazine. Marsh welcomes that kind of exposure for the world to see and this is why he created his masterpiece in the first place. He would never wash it away! And as far as the couple from England asking me what I thought about graffiti…? In their small town she is a secretary at the tiny church and he is the caretaker of the graves. He told us that there are 1,500 inhabitants in the city and 26,000 buried in the churchyard. On the stonework of their church someone had carved a sailing ship as proof they were once there. He shared that it was the Vikings that had left the mark of their “gang” about 800 A.D., still visible to this day. I can only imagine who the “homeys” chose as their artist for this effort. And not only that, how fast did they have to run ahead of the villagers to make it to their ship to sail away to the next destination to find another means of expression. Next week I promise to not run away after I paint the picture of the “Hershey Burger.” I hope and pray it won’t be graffiti that you want to wash away. Jeff is not only a good writer, he’s a storyteller; a member of a society of men and women who keep history and legends alive. No doubt his talent is derived from his Celtic ancestors. He has the knack of making the story live. Like the storytellers of old, Jeff uses his wit and the power of his words to bring the audience into the scene; to make them a part of the tale. Civilizations have revered their bards. Long before the written word was common place, the storyteller, the bards, relayed news, legends, and satire. The common folk loved and welcomed the tale tellers. The powerful despised and persecuted them. But they have survived despite books, television, movies, and the internet. Jeff is a former teacher and coach. He served as a special investigator for the state of New Mexico. He dedicated himself to researching the Sand Creek Massacre and verifying the site. He viewed Sand Creek as a crime scene and followed the leads to a logical conclusion. You can hear Jeff Campbell speak at the Frontiers in Writing Let’s Write weekend June 29-30. His topics include researching, perfect crimes and police procedure for mystery writers. Visit panhandleprowriters.org for conference details and registration information. We look forward to seeing you in Amarillo. When you’re stuck for ideas to write about, write five possible scenarios for each topic listed below. Now you have a potential outline for a possible story. One of the publishers sent Mr. King’s rejection with these words: We are not interested in science fiction which deals with negative utopias. They do not sell. Mr. Golding’s Lord of the Flies was rejected by 20 publishers. One denounced the future classic with these words: an absurd and uninteresting fantasy which was rubbish and dull. 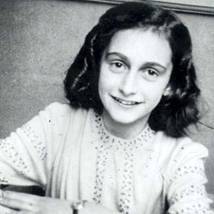 15 publishers also rejected The Diary of Anne Frank. Harry Potter and the Philosopher’s (later Sorceror’s) Stone was rejected by a dozen publishers, including biggies like Penguin and HarperCollins. Bloomsbury, a small London publisher, only took it on at the behest of the CEO’s eight-year old daughter, who begged her father to print the book. Mr. Hillerman, now famous for his Navajo Tribal Police mystery novels, was initially told by publishers to Get rid of all that Indian stuff. According to one publisher, Ms. Plath’s ability as a poet was nothing special: There certainly isn’t enough genuine talent for us to take notice. Mr. Stone’s Lust for Life was rejected 16 times, once with this helpful synopsis: A long, dull novel about an artist. Mr. Adams’ Watership Down was rejected since older children wouldn’t like it because its language was too difficult. After reading Mr. Lawrence’s Lady Chatterley’s Lover, one publisher warned: for your own sake do not publish this book. I stumbled on this under the title of “30 Famous Authors Whose Work was Rejected” I’m offering a portion of the article for you here. I think this is proof that we must write the story of our heart and soul. No one can write the story that you must, so just keep at it! I’ve heard many many times that a writer should write what they know. If you know romance, write romance. If you know children, write for children. If you mystery and murder . . .
Well then there’s the other side of the argument which says, “Write outside of the box. Expand your horizons.” Learn space travel. Learn brain surgery or international spying or mystery and murder . . . The point is this. You can write what you know while you broaden your horizons. The answer is at your local library, or even better, in your computer. You have a great idea that screams for attention. But you’ve never been to a fortune teller, or outer space or a battlefield or in a failing love affair. You can learn these things by reading books on the subjects, or “google” them and add a new expertise to your ever growing education. I was reminded of this endeavor when I opened my Facebook page and clicked on Bonnie Derby’s store “Needful Things” next door to the Blue Bird Restaurant in Centerville Iowa. A beautiful glass swan was being displayed alongside the iridescent jewels following behind. Who could possibly need a swan when there are so many needs in the world? For that matter, who would need the aprons, or the ironing boards or the sewing machines? Or, to go even farther, what worth is there in biscuits and gravy you could order next door. What about biscuits and gravy you ask. What about them? Seeing them on the computer screen on Dann’s blog at the Blue Bird brings up the most wonderful thoughts of family time, Christmas mornings, Sunday brunch, late suppers after a hard day of chasing fundraisers and child hood passions. Of course there is cholesterol and fats and salt, and…and…and…this is a given. But on the other side of the coin there is the sizzle that comes with bacon or sausage dancing in the cast iron skillet, eggs over easy, potatoes fried in leftover drippings. But the most powerful image has to be with everyone sitting down at the table together sharing a simple meal without drama or pain. Isn’t that worth something to someone today, tomorrow or yesterday? None of these are needful things. Life cannot be sustained by treasuring inanimate objects. Nay, coveting is an offense decried in the Bible. But then again, what if someone wanted to live their story instead of writing it down. Couldn’t the tangible objects they- purchase fuel the passion, or sooth their tender heart? Whose law demands everything they spend their hard earned dollar on to be worthy and justifiable on the expense account. This is not prideful or Biblical, but merely a reminder of all that is good and wonderful in all that surrounds us. So don’t feel silly about writing a story on an insignificant object. Make it a significant treasure. Celebrate and be joyful that as writers we can we take such tiny moments of human interaction and set it to words, even if it is about pink swans and how it connects to biscuits and gravy. I wonder what “needful things” he and his family will find while they are here. The novel is almost done. I’m down to the last chapter, and I’m finding it difficult to say goodbye. I wonder if readers realize how close the writer is to his characters. Do they know how we have nurtured them, helped them grow, listened to their sorrows, shed tears over their heartbreaks? I carry on conversations with Kate, Dalton, Chad, and Travis. They are the children of my creation and I am proud of the results. Let me see. I’m not ready to say goodbye to Harley and its citizens. I do have stories. E-books? Yeah, Dalton, I’ll definitely think about it.